Silent Valley National Park is spread across Palakkad, Malappuram Districts of Kerala State & Nilagiris District of Tamilnadu, in India. It’s a tropical moist evergreen forest. 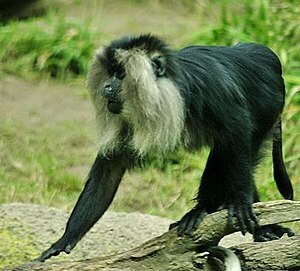 Lion-tailed Macaque, endemic to the Western Ghats. Silent Valley is the home to the largest population of Lion-tailed Macaque, an endangered Primitive species. Public outcry over their habitat led to the establishment of the area as Silent Valley Park. In the year 1986, this National Park was declared as the core area of the Nilgiri Biosphere reserve. This has resulted in efforts to promote the Ecosystem of the Valley. This National Park is part of Western Ghats, which is a UNESCO World Heritage site. The Kunti puzha (Kunti River) runs through the entire length of 15 kilometers of the park from north to south and then into the Bharathapuzha. This valley receives most of the rainfall in Monsoon season, from June to September. During the North West Monsoon season months of October and November, Valley receives moderate rainfall. A minimum of 24 species of Mammals are found in the valley including many threatened species. Bats,rats,mice, etc, count to 9 species. There are 730 insects identified in Silent Valley National Park, as per last count. How Do I Go to Silent Valley National Park? Entry Passes are available from Mukkali Forest office, Mannarkkad P.O. You need to park your vehicles here and travel in the forest department’s vehicle. 04924-222056 is the contact number. Permits are not issued after 1 pm. It takes around 5 hours to visit this national park. Accommodation is also available at the forest department’s Inspection Bungalow at Mukkali. You may need to book in advance. Silent Valley National Park is well connected by road, rail and flight services to other parts of the country. “Palakkad Junction” is nearest major railway station at around 58 kilometers distance. Kozhikode and Coimbatore airports are the nearest airports to Silent Valley National Park, at around 100 kilometers distance.